Grow your online presence by working with one of the best digital marketing agency and see a positive outcome in terms of sales and profits. Work with certified digital marketing team to get the best results in quick time. Why You Need to Include Digital Marketing in Your Business? Every company no matter how small or big has a website nowadays. The best way to outrun your competitors is by connecting to a wider range of audiences all over the world which is only possible through Digital Marketing. All the major industries like Healthcare, Finance, Banking, Tourism have been largely benefited and have observed an increase in their business after integrating Digital Marketing in their business model. Virtueinfo has been helping clients by providing seo and digital marketing services for more than a decade. Our core strength is our dedicated and certified digital marketers and seo experts who have expertise of promoting websites related to all industries for various clients. Our main USP is our digital marketing team who always comes up with innovative and effective ideas that works tremendously and helps clients in generating lots of traffic in quick time. With our brand and reputation management services we have helped many new companies in attaining top positions on search engines. SEO is the process of getting traffic through organic methods and having targeted keywords on top rankings in search engines. Virtueinfo has a separate team of dedicated seo executives who works on the off page and on page activities of a website. SEM includes marketing through paid promotion using Google Adwords, Bing Adwords, Remarketing, Retargeting and many more. Virtueinfo has a team of certified Adwords executives who has helped clients in achieving higher return on their investments. Our social media optimization services consists managing social media accounts of our clients like Facebook, Twitter, Linkedin, Instagram and many more. Our social media marketing team has helped many new companies in attaining a big brand status with the help of social media optimization. We help our clients in maintaining an outstanding online reputation that includes increasing trust on the company, resolving client's queries quickly and efficiently, taking constant feedback from customers to improve the services and many more. Virtueinfo provides lead generation services that includes filtering out the visitors who are most likely to opt in for the services provided by the clients and reaching them out through email or phone. Our local seo services include promoting websites in local directories, verifying websites in Google Business and updating Google maps hence making it easier for users to build a trust on the company. 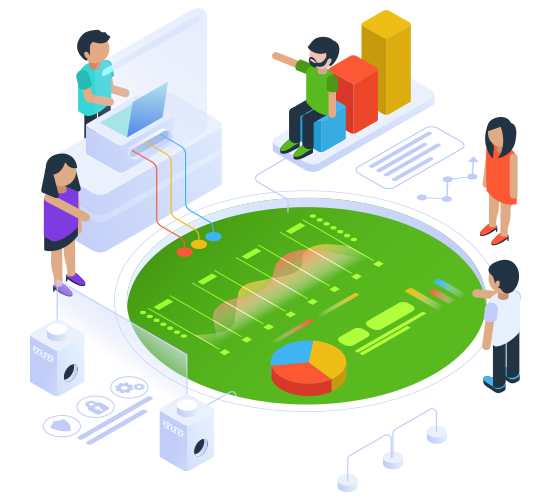 Our conversion optimization services include creation and implementation of analytics goals and ecommerce tracking, conversion optimization analysis, A/B testing and split testing. We also help our clients to promote their site content or blogs on various content distribution networks like Taboola, Outbrain, Revcontent, Yahoo Gemini and many more.